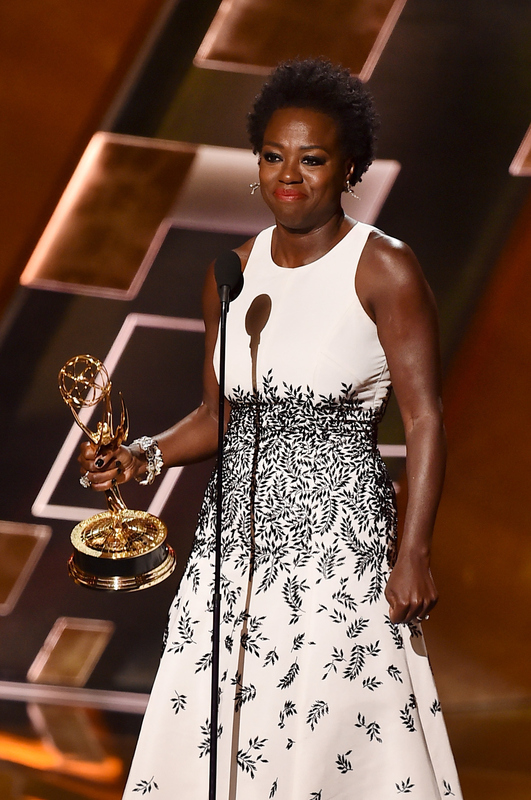 This Sunday night, history was made at the 2015 Emmys, but it was almost bittersweet. When Viola Davis won the Emmy for Outstanding Lead Actress in a Drama Series for her brilliant work as Annalise Keating on How To Get Away with Murder, she became the first black woman to take home the prize. While this is clearly a very important feat and Davis should be celebrated, it has to be said: What the hell took so long? Sept. 20 marks the 67th annual Primetime Emmy Awards, so for 66 years, no black women were honored for their work as lead actresses on drama series. And that's not the only first for this year's Emmys — or even for this category. Thanks to Davis and Taraji P. Henson, who was nominated for playing the already iconic Cookie Lyon on Empire, this is the first year that two black women were nominated for Outstanding Lead Actress in a Drama Series. Hopefully, that second achievement means that it won't be another 66 years before another black actress is recognized for her television talents. While there's no excuse for such an appalling lack of diversity in this category in the past, it is reflective of a lack of diversity in television overall. Up until very recently, black women were rarely given leading roles on TV, especially dramas, so there were fewer actresses to nominate to begin with. We're definitely moving towards more diversity on TV, and while there are still not enough women of color leading series, the Emmys finally beginning to honor them is helping to set things in the right direction. Thanks to women like Davis, Henson, Kerry Washington, Meagan Good, Angela Bassett, Tracee Ellis Ross, and many more, there is more representation of women of color on TV than in years past. I just hope that as they succeed, TV networks will catch on and beginning casting more women of color in their series, both comedy and drama. The Emmys finally opened their eyes and realized that these women are delivering excellent performances on beloved TV shows. Giving Davis that highly deserved trophy is a great start, but after 66 years, they still have a lot to make up for.